We're PLM solution experts - let us prove it! Let's be honest — no one has ever graduated from engineering college with the idea "I can't wait until I get my hands on a PLM system." Instead, we jump into engineering to design all the cool stuff that the world needs. However, with experience we realize that engineering design, by itself, isn't enough. We must clearly communicate our designs so they can be produced accurately and consistently. Engineering data management is a specialized discipline, requiring real-world design and production experience and lots of software engineering expertise. This is why professionally-developed PLM software is so important. Invented-on-the-fly data managers simply waste time, cost money and add risk. Not surprisingly, our team is obsessed with PLM software, and we've happily spent much of our careers designing data management systems for other engineers. Ideally, PLM is appreciated for its benefits, and then just fades into the background as another modern convenience ("Wow, I don't know how I got along without it!"). You want to select a solid tool that makes your life easier and your data more secure, and you expect installation and configuration to be hassle-free. PDXpert PLM software is that tool. It represents our complete "from the ground up" re-thinking of how parts, bills of materials, documents, electronic files, and change forms are used in growing companies, and how these should be managed in an easy-to-use PLM software package. Active Sensing, Inc. (ASI) was originally formed to develop electronic instrumentation for the process control industry. As part of some initial consulting contracts, one of ASI's clients expressed frustration with the expense and complexity of then-current PDM systems, and asked the ASI team for recommendations. With relevant experience in engineering design, project management, and database programming, ASI shelved the instrumentation and started developing an inexpensive PC-based PDM that would appeal to companies with limited configuration management experience and small PDM budgets. We want you to know exactly what you're buying, so we make it easy to compare PDXpert PLM software to our competition. Perhaps surprising: we'll suggest alternative PLM systems if we can't meet the project objectives. Active Sensing, Inc. is run by engineers, for engineers. Since 1993, Active Sensing has focused on affordable product data and lifecycle management solutions for small- and mid-sized workgroups — from a single user to hundreds. 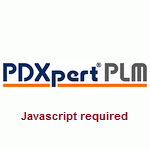 PDXpert® PLM software was introduced in January, 2007. See our customers' reviews and industry awards.